The Only SUV in History to Attain a 5-star Crash Rating. The National Highway Traffic Safety Administration (NHTSA) has given lots of SUVs 5-star ratings before. There has never been any case, however, when an SUV was granted a 5-star rating in all crash safety tests conducted. Until Tesla’s Model X came along. Model X is Tesla’s first SUV. It became commercially available in late 2015 at a starting price of $82,500. It’s known for its unique ‘falcon-wing doors’ which are hinged on top and open vertically instead of swinging outward like typical car doors. It also features an air filter that can be considered a ‘cut above the rest’ as it is able to filter the air in your car in the most effective way possible, resulting in hospital operating room level of air cleanliness. And now, it holds the distinction of being the safest SUV with the lowest probability of injury tested by the NHTSA. It’s also the second safest vehicle tested by the NHTSA — Tesla Model S currently holds the top honor on the category. This admirable feat convincingly demonstrates Tesla’s commitment to put safety above everything else. 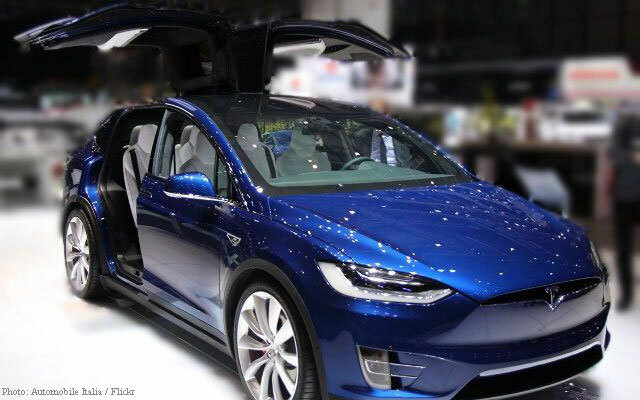 As the Tesla Team explained in a blog post, they ‘engineered Model X to be the safest SUV ever’, and the perfect 5-star rating given by the NHTSA proves exactly that. By the way, the star rating indicates “the probability of a serious injury in a high-speed accident”. That means the higher the number of stars, the lesser the chances of being injured. According to the team, Model X owes its better crash performance to its ‘all-electric architecture and powertrain design’. They also cite the placement of its lithium-ion battery pack as especially crucial. By mounting the battery pack beneath the floor of the vehicle, it creates a low center of gravity, giving Model X the lowest risk of a rollover crash. It is usually in this category that most SUVs fail to achieve a 5-star rating as having a high center of gravity increases susceptibility to experiencing a rollover. Aside from testing the rollover risk, the NHTSA also assesses a car’s safety during a collision that results in frontal impact, side impact or pole impact (skidding sideways into a pole or tree). All tests are done on both the driver and passenger side. NHTSA assesses more than just the vehicle’s structure which should be strong enough to absorb as much energy and minimize intrusion. It also tests the seatbelt and airbag restraint system which should be able to keep passengers safe and limit injuries to a minimum in case a crash takes place. Model X achieved five stars in all categories and sub-categories. Essentially, this means that in case a major collision happens, you’d want to be riding in a Model X because if you are, your chance of surviving the crash and walking away without any serious injuries is a whopping 93%. Not bad, right? So if you are looking to buy an SUV and safety is your top priority, you should seriously consider investing in a Model X. You and your family will be safer. The planet will be happier (because it’s an electric-powered vehicle). And you’ll be driving around in a nice-looking vehicle too.